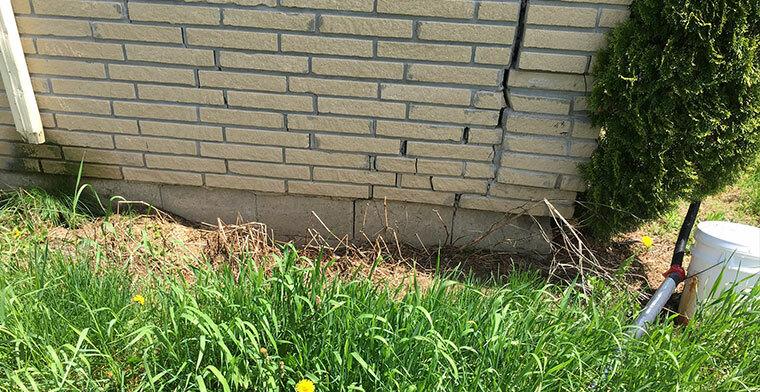 Like all structures, the footings and foundation are critical for masonry support. This concrete block foundation has a downspout pouring water directly to the block and has been pushing it apart due to frost heave. 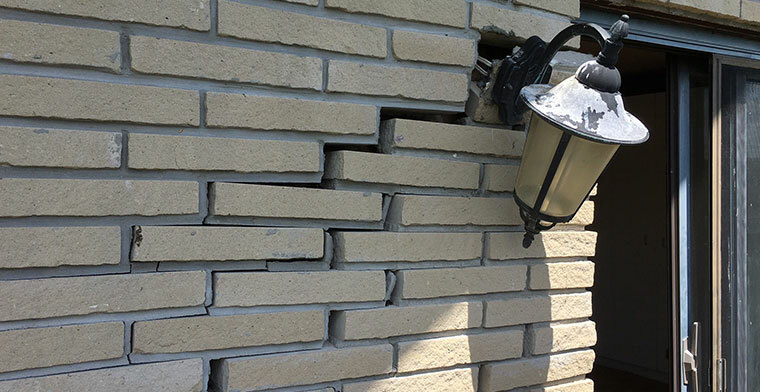 Poor grading has been damaging this foundation for 27 years. The result is the above masonry brick pushing upwards and away. This scenario was consistent in several areas on this house. Therefore it is very important that grading and downspouts must slope away.